Glas Tek is a proud Litchfield Park windshield replacement and auto glass repair mobile service provider. Our shop started and is based in Glendale Arizona; therefore Litchfield Park is a familiar area to Glas Tek. We are a local and female owned Litchfield Park windshield replacement service provider and value the support of our neighbors. We offer free auto glass replacement quotes online, $50 CASH BACK, free windshield rock chip repairs, 10%Rewards, nationwide lifetime warranty, and mobile to Litchfield Park daily. Glas Tek is an approved Litchfield windshield replacement and auto glass repair shop for all major insurance companies including: 21st Century, Geico, Allstate, Metlife, Nationwide, Safeco, State Farm and Commonwealth. We offer $50 CASH Today with all approved Litchfield Park windshield replacement insurance claims. We accept and honor all insurance contract pricing so that there will never be any out of pocket expenses for you. In addition, our nationwide lifetime warranty is back by all major insurance carriers. Filing a Litchfield Park windshield replacement claim is easy! it only takes about 10 minutes of your time and can even be started online. Start your insurance auto glass replacement online or learn more about the auto glass repair insurance program now! Glas Tek is a Litchfield Park windshield replacement and auto glass repair service company that prides themselves on their world-class customer service and the absolute best value. We serve all customers with unsurpassed high quality windshield replacements and yes we even come to you, the residents of Litchfield Park Arizona. We serve all over the valley every single day, and we have some of the most skilled glass technicians out there, who have at least five years in the business of auto glass replacement and windshield repair. So who are you going to trust with your safety, in a rollover accident the windshield is about the only thing that is keeping you protected from the roof coming in. So just remember safety comes first, and when it comes to safety, value, and service your best bet is Glas Tek. Glas Tek provides free auto glass replacement prices online, $50 CASH NOW with any car windshield replacement insurance claim, free mobile rock chip repairs with any new windshield replacement, and earn 10% CREDIT on any future purchases. 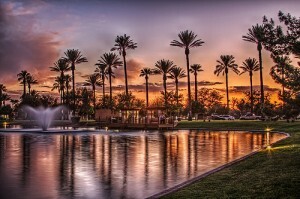 Litchfield Park is a beautiful and prosperous city in Maricopa County, Arizona. This wonderful city is recognized by the Phoenix Magazine as “one of the 8 best places to live in Arizona.” This small city has 4,5000 residents and is ever expanding, it’s located 15 miles west of Phoenix. Litchfield is covered with gorgeous parks and plenty to do without even living the city limits. If you enjoy outdoor concerts, art, and craft festivals you have another reason to visit this wonderful place and if you already live here, good for you and great job. Litchfield has many award winning special events to enjoy and is boasting with small town atmosphere and hospitality. This is one of our very favorite places we visit, we love to know that a ordinary test site for Goodyear can be turned into something so beautiful and unique. Paul Litchfield, a junior executive of Goodyear, was whom this great city was named after, it all started in 1916 when Rubber and Goodyear Tire bought some farm land to grow Egyptian long-staple that they used in tire cords. Litchfield Park was the headquarters for Goodyear Farms and had literally thousands of acres under cultivation. Then afterwards in the 1960’s Litchfield Park designed many self-sufficient villages, and Litchfield Park is evidence of this, the beautiful city you know today grew into something truly beautiful. This is one of the many places we visit everyday here at Glas Tek, making sure each and every one of our customers are safe from the dangers of driving with a cracked or broken windshield.